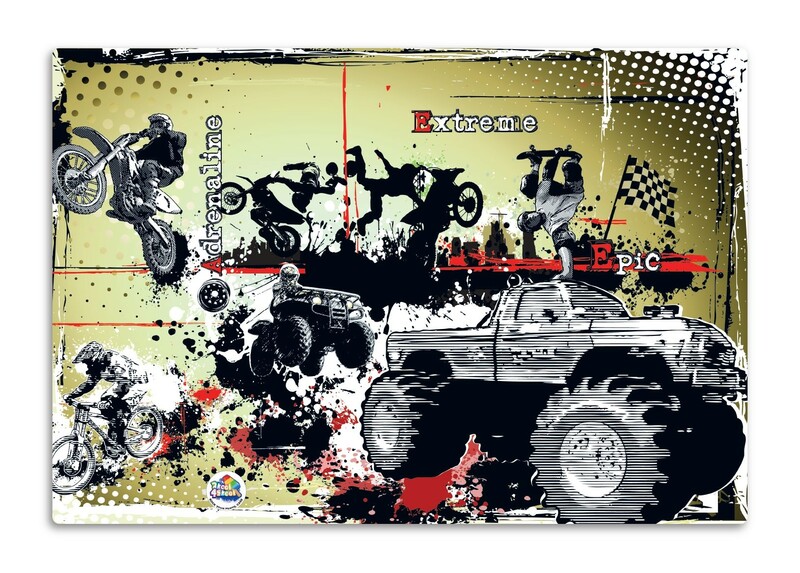 Adventure 6 pack of printed PVC exercise book covers. 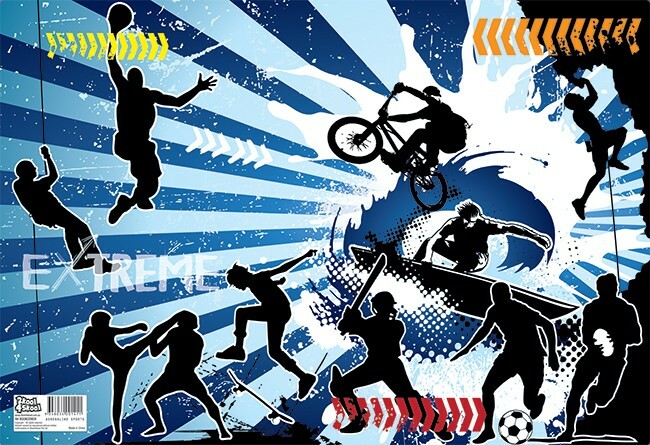 3 great designs each with a great game to play. 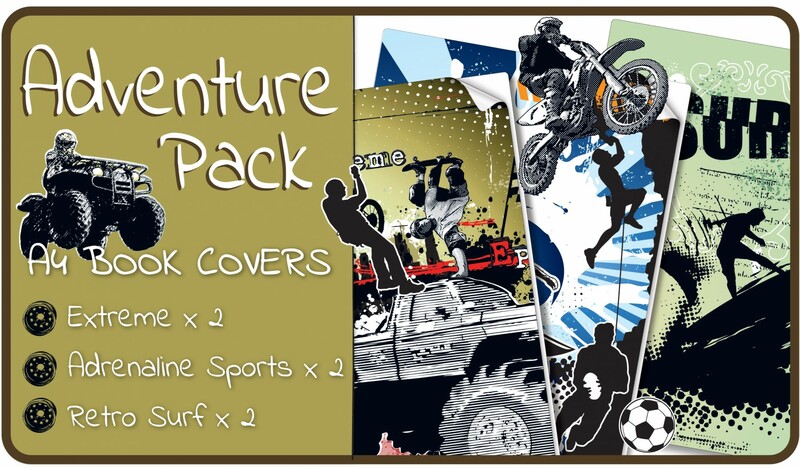 Adventure pack features 3 awesome adventure & outdoors inspired printed PVC A4 book covers. 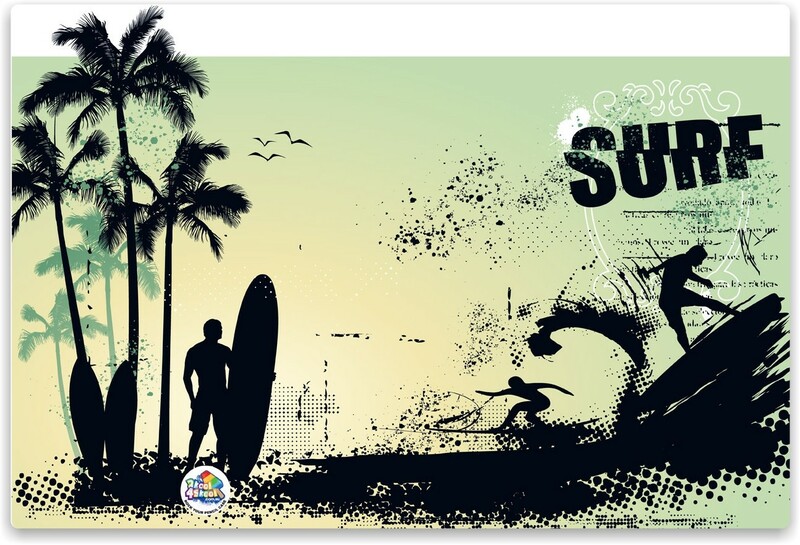 There are 6 covers in the pack being 2 of each of the 3 designs of Retro Surf, Adrenalin Sports and Extreme. This unique reusable book covering will have you the envy of your friends. Each cover has a game to play. Can you find the hidden iceblock? Made from medical grade non-toxic PVC, these covers just slip neatly onto your A4 book in seconds taking the pain out of school book covering. These unique covers will cover the Australian standard A4 exercise book from 48 pages to 248 pages. These are no ordinary school book covers. Entire Cover when laid out flat is 445mm wide x 305mm high.